As its name suggests, the car hire company Thrifty, offers affordable vehicle rental. Branches are found all across South Africa and this includes the lovely, warm coastal city of Durban. Durban is becoming a very hospitable city and international visitors are now finding out why locals swarm the city whenever they get a chance. Thrifty car hire Durban would be the company to seek out to have access to a vehicle for your very own personal use in the city. With a rental vehicle, there is the freedom of going anywhere and at any time because you would be solely reliant on yourself. Thrifty is an independent car rental company that was established in 2002. To date, it is one of the fastest growing companies in its field. Success is owed to quality vehicles at bargain pricing with ever changing innovations. They currently operate in 3 African countries, namely Mauritius, Namibia and South Africa. In South Africa, there are 31 branches alone, with 3 of these being in Durban and surrounding areas. The Thrifty Durban branches include Durban City, Thrifty Car Hire Durban Airport and Richards Bay. Thrifty Car Hire Durban really has a vehicle to meet every driving requirement in the city. If it is just a small vehicle to get you between points such as for meetings or touring, then a hatchback will do. In these cases you will probably not be spending too much time in the vehicle and are just looking for something economical and reliable. The hatchback provides the perfect solution. Models from Thrifty Car Hire Durban are from the newer end of things, have the cheapest daily rates and not too bad on the tank. If you would be spending a bit more time in the rental vehicle and need to be in a bit more comfort then a sedan or SUV will do nicely. They are also excellent for kids as they come with fantastic entertainment units. Of course the daily rates for these types of vehicles will be hiked up but Thrifty is here to ensure that you get the most affordable rates that will not eat out your bank balance. Bakkies, as it is affectionately referred to in South Africa come in 2 renal options at Thrifty Car Hire Durban. These are the single cab which seats 2 people up front with a whole lot of space at the back portion. A double cab is similar, though the front end seats around 5 people. Both vehicles are excellent for off road travel or if a hell of a lot of space is required from a vehicle. Finally we have the minibus vehicle. Capable of seating up to 16 people, the vehicle is a must if there is a group travelling together in Durban. It allows for the rental of just one vehicle, keeping costs down, and keeping the group together to leave and arrive consistently at the same time. Customers can opt to get just a quote for a vehicle from any Thrifty Durban location. Of course, the Thrifty Car Hire Durban Airport branch will be best utilized if this is the entry base into the city. This can be gotten over the net or telephone. Information such as location, dates, vehicle group, optional extra items and waivers will be asked for in order to give out the quote. If customers are happy with this then a reservation can be done. The online route remains the best option to reserve a vehicle as it can be done from anywhere in the world and at any time. Using the booking engine allows for the Thrifty Car Hire Durban vehicle to be reserved in mere minutes. Simply select the dates, time, location that you would need a vehicle and all viable options will be pulled up. You would go through this list to find the one that best appeals to you and go ahead with the reservation. 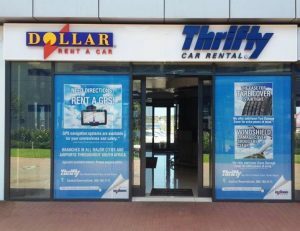 Once the vehicle has been selected, you will be asked if you would like to add anything to your rental at Thrifty Car Hire Durban. These include items such as child safety seats, bicycle racks and insurance. Hiring them is done at an added cost but they do provide peace of mind and an easier driving experience. An example would be taking the financial liability of yourself if the rental vehicle from Thrifty Car Hire Durban is damaged during your rental period. A GPS unit will ensure that your visit to Durban is done smoothly, guiding you to exactly where you need to be. The final aspect would be providing some information with regards to contact and personal details. Once payment has been accepted, the vehicle at Thrifty Car Hire Durban will be reserved just for you. There is no need to wait until you would arrive in Durban to tackle this issue and be left to choosing from whatever few rental vehicles remain. By reserving in advance, you have a choice from a wider selection and a larger chance of securing one before it is unavailable. It does require for the driver to have a PDP license. The rewards club at Thrifty is the ThriftyMiles loyalty club. Registration is super easy and can be done online in just 6 steps. Patrons of the club get access to easier online bookings since all of their information is already in the system. They are also able to view upcoming bookings and make amendments if need be. The best part of the rewards club remains the ability to score points on each rental done. These points can be redeemed on future bookings, as an upgrade vehicle for example. 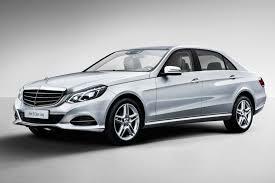 For Thrifty Car Hire Durban rentals, payment can only be done by credit card. If the booking is being done online, then the card must be produced during the pick-up. A South African Driver’s License is needed to rent a vehicle at Thrifty Car Hire Durban. International visitors can hire out a vehicle with an International Drivers Permit.